Whither golf? Precisely the question we answer in a number of ways in the season-opening issue of The Grain, The Future of Golf. Don’t worry about undue hand-wringing; this is mostly for fun. So David Barrett first takes a look at the pro game, and how the future seems to belong to the youngsters at the moment. Tom Bedell discovers a host of new ways golf courses are being approached–on everything short of hoverboards–and utilized, with the increasing popularity of FootGolf and a new wrinkle called FlingGolf. 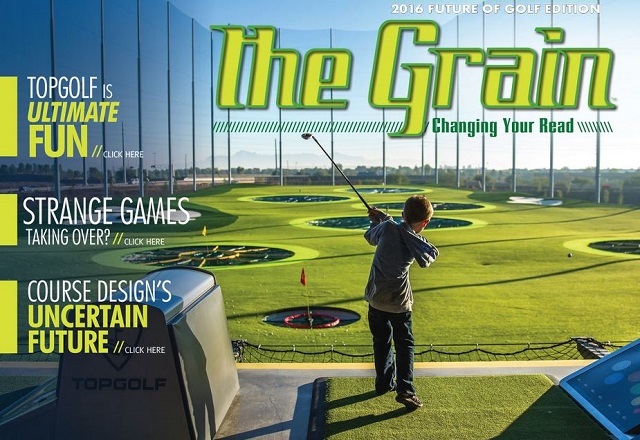 John Torsiello suggests that the enormously popular TopGolf phenomenon may well solve every problem golf ever had. 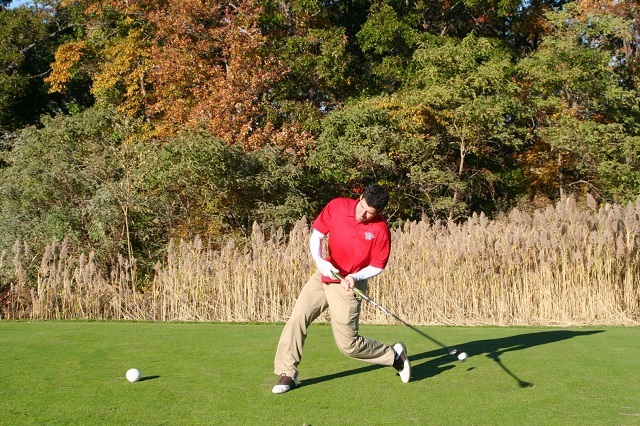 David DeSmith counters that golf may not really have any problems, and that it’s all semantics. Hal Phillips wonders where golf architecture will go after retro. And what would the future be without a robot or two run amok? David Gould, the new editor of The Grain, spins a dystopian tale that includes most of the world’s great coastal courses underwater. In the midst of all this fine writing about the future, we return to the here and now in our video feature, where John Stahlschmidt will teach you how to hit your irons solidly faster than you can recite his title–PGA Tour Academy World Golf Village Master Instructor-Director of Operations! Head to the future in the present issue of The Grain.